Charlotte Arter new Welsh Half Marathon record holder. Charlotte Arter broke Angela Tooby’s 31-year-old Welsh Half Marathon record in Barcelona to move to eighth on the all-time UK list. The Cardiff runner led a flurry of personal bests for Welsh athletes with five of the seven who lined-up in Spain setting new marks. Arter shattered her previous best for the distance by two minutes clocking 69 minutes 40 seconds – beating the time of 69:56 set by fellow Cardiff athlete Tooby in Newcastle back in 1988. The 27-year-old, who last autumn started a career break to concentrate on athletics, was fifth in the women’s race where she was the first European finisher. 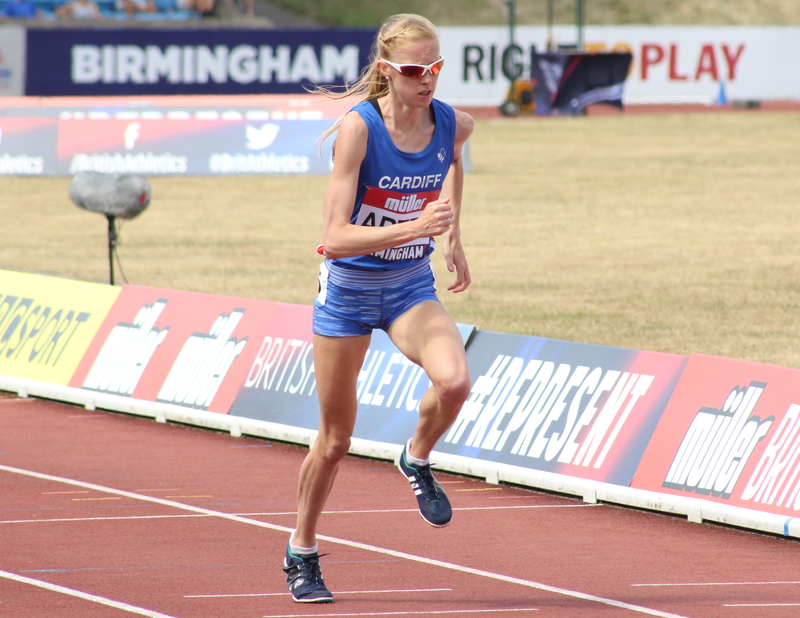 Fellow Cardiff athlete Clara Evans also chalked up a personal best of 72:49, which puts her fourth on the Welsh all-time list. The first Welsh athlete home overall was Josh Griffiths, who claimed a personal best of 64:53. The Swansea Harrier finished just ahead of Andy Davies, of Stockport AC, who completed the flurry of Welsh lifetime bests with a time of 64:57. There were also excellent performances from Eryi’s Rob Samuel with 67.11 and Worcester AC’s Jenny Nesbitt, who claimed 73:16. The overall victories went to Kenya’s Eric Kiptanui and Ethiopia’s Roza Dereje. Kiptanui clocked a time of 61:04 to win the men’s race, with Dereje running 66:01 to claim the women’s title. Sunday morning also saw the Llanelli Half Marathon, where there was a repeat of last year’s result in the men’s and women’s races. Cardiff AAC’s Matt Clowes took the men’s race finishing in a time of 66:44, while Swansea Harrier Caryl Jones once again claimed the women’s title in 77:05. The event was expected to attract 2,500 runners of all abilities and for the first time attracted a wheelchair athlete – paralympian Richie Powell, who completed the fast, scenic course in a time of 79:37. A full list of results can be found on the Llanelli Half Marathon website.